After every 10 battles at the Battle Tree Super Single, Super Double, and Super Multi; there is a chance of encountering Wally. Use Fairy-type Pokemon such as Sylveon and Azumarill against his Altaria and Garchomp. A recommended Pokemon to use against Magnezone and Gallade is Marowak (Alola). Also keep in mind that a Fairy-type move can get a super effective against 3 out of 4 of his Pokemon. 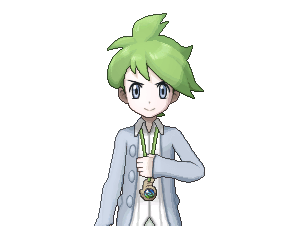 One of the highlights of Wally’s Team is his Magnezone which has access to Sturdy, Magnet Rise, and the item Assault Vest which make it a Sp.Defensive shield. Although it sports all these strong points, its Speed is average which make Fast Pokemon with Mold Breaker and Earthquake good counters before it has the chance to use Magnet Rise. An example of a good check against Magnezone is Haxorus which is equipped with the item Focus Sash, has the ability Mold Breaker; and has the following moves: Dragon Dance, Poison Jab, Earthquake, and Outrage.